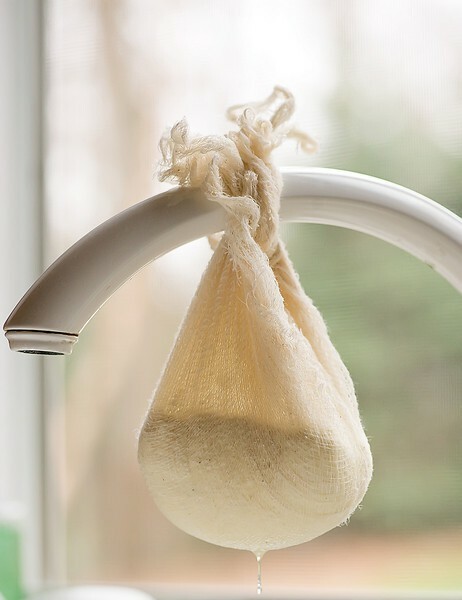 One of the healthy new changes we have made in our home is the use of Raw Milk. Glorious Raw Milk!! Untouched by the human hand, in it's purest form as God intended it to be. There are so many arguments out there about the benefits and dangers of drinking raw milk, but we are surrounded by hundreds of healthy (Amish) families, and many other families that drink it and have drank it all of their lives. We see daily proof that it is safe and healthy. Many of may not know, but I have osteoarthritis and have had it since my late 20's. In looking for ways to combat it, I researched many articles. The one topic that I began to see over and over was that pasteurized milk was hard on people with arthritis, any kind of arthritis. The studies show that it actually caused joint issues and inflammation issues. I began to look around to find others that could verify this and didn't have to look any farther than my own neighbors. To find raw milk from a farmer close to you, go to Where Can I Find Real Milk? We even researched where pasteurization came from and why. To give you a small idea, here is an excerpt from Wikipedia. It reflects the same information we found in much of our other research. To see the whole article go HERE. Our decision was based on the fact that we have stopped eating processed food that has had chemicals and preservatives added to it for longer shelf life. Why would drink something that has endured a process to lengthen its shelf life? We don't need milk that can last up to two weeks. Milk doesn't last that long in our home. Also, we have been realizing how much the big corporate industries have swayed us in regards to what we eat and drink. The milk industry stands much to lose if everyone stops buying milk from the stores and begins to milk their own cows or goats. We feel the same way about the beef industry too. For that matter, the whole health industry stands to lose billions of the almighty dollar if people began to be healthier too, but I won't open that can of worms....yet. Here is another terrific source for information at RealMilk.com and what the Scientific Literature really says HERE. I share all of this with you, not to convince you that you should drink raw milk, but to explain the power behind our decision to drink raw milk. If you do decide to drink raw milk, you have to be absolutely sure that it comes from a very clean source or raise your own animals for milking purposes. Besides the health benefits from drinking raw milk, there are many things you can make yourself from raw milk. In the picture above did you see the cream at the top? 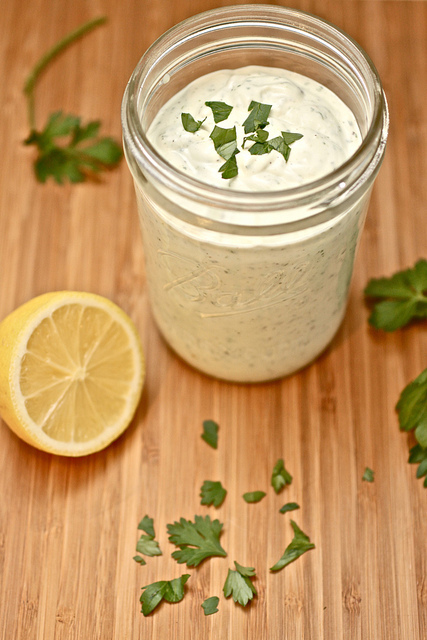 No more having to buy ranch dressings, evaporated milk, sweetened condensed milk, whipping cream, heavy cream, cheese of any kind including cream cheese, butter or yogurt! It is amazing how self-sufficient you can be when you have raw milk to work with. When you make all of these things your self, you don't have to worry about the chemicals and preservatives of all of these things. What a relief! Here are some recipes and tutorials to give you an idea of how easy and fun this can be! These are the sources I use to make my own, so instead of re-inventing the wheel, I thought I would share the originals with you and give them all of the credit they so deserve. 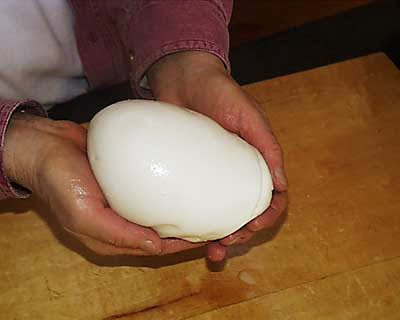 Here is a real easy one, Ricotta Cheese for all of your lasagna and stuffed pastas. 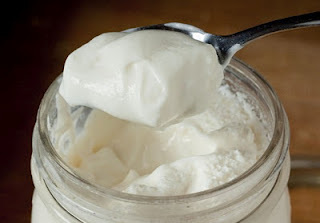 Here is a terrific Yogurt recipe! 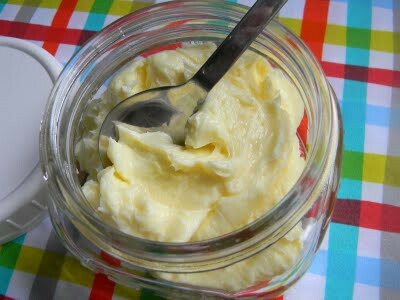 This butter tutorial tells how to make it by shaking your cream in a jar. We still do it that way from time to time, but it's much easier to do by using your Kitchen Maid mixer. Be sure to stand watch though or you will end up with whey all over the kitchen. Believe me, I speak from experience! Once it forms, it will plop around in the bowl causing the whey to splash everywhere. One of my favorite things to do is to make all sorts of flavored butter like Cinnamon Honey Butter, Orange Honey Butter, Strawberry Honey Butter, Blackberry Honey Butter, Vanilla Honey Butter, Apricot Honey Butter, Garlic Butter and Herb Butter. You can find all of these on my Butter Board. If you have favorite recipes of your own, please share them with me! I love to find new and exciting things to do with our raw milk! I know our raw milk has held out for 10 days and we are still alive… Though we are weird at times. We enjoy raw milk also. We get it from the same farmer my parents did when I was a girl. I'm too worried about the dangers of drinking raw cow's milk for us, but I certainly understand your reasoning for your family. Thanks for sharing your decision with us. I will be interested to see if this switch helps you feel better. I know people who have arthritis, but then, their diet is filled with junk. Thanks for sharing this information. Great round up of recipes! So excited to read your post! Our family has been drinking raw milk for 3 years. I know I have a precious resource and have been wanting to utilize it more than I have this far. I'm looking forward to trying your cheeses and ranch dressing.